MK Hanin Zoabi is at it again, tells Hamas newspaper she views sovereign Israeli territory as “occupied” Palestinian territory. MK Hanin Zoabi (Joint List), known for her anti-Israel statements, is at it again, and is clarifying that she views sovereign Israeli territory as “occupied” Palestinian territory. "Netanyahu views us as an enclave of rebellion which can be subjected to siege, training, punishment, intimidation and terror, and he wants to make us give up our rights through intimidation,” added Zoabi, who stressed that she is not concerned about any threats and is ready for any trial against her even though she does not trust the Israeli legal system. "We rely on our right and we are ready for confrontation, and this is not a legal conflict but a political one," she said. 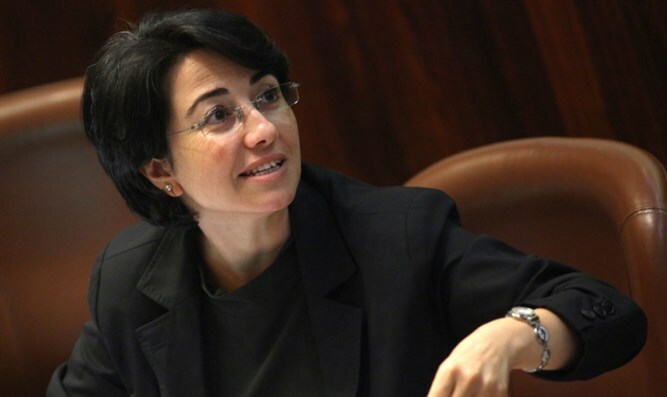 This, of course, is not the first time that Zoabi has made controversial remarks against the State of Israel despite the fact that she is an elected member of its parliament. Most recently, during a discussion in the Knesset on the reconciliation agreement with Turkey, she openly called IDF soldiers “murderers”. Coalition chairman MK David Bitan (Likud) recently said that a new initiative is being promoted to pass legislation that will facilitate the expulsion of Zoabi from the Knesset due to her anti-Israel remarks and open support for Hamas.